Yokohama Civic Art Gallery opened in 1964, and since has widely introduced art to the civilians of Yokohama for over half a century. After relocating twice, it has started its operation again from fall 2014, in Iseyama of Nishi-Ward. 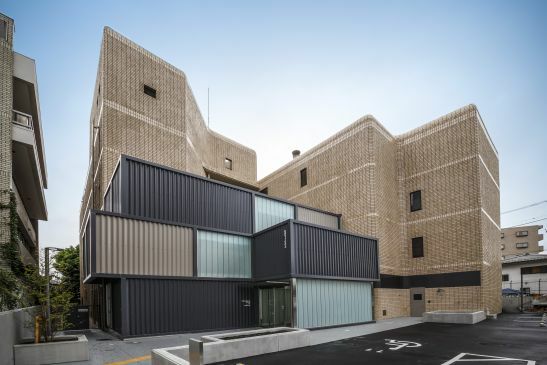 The building has 1 basement floor and stands 4 floors high, boasting 6 exhibition rooms and an atelier. 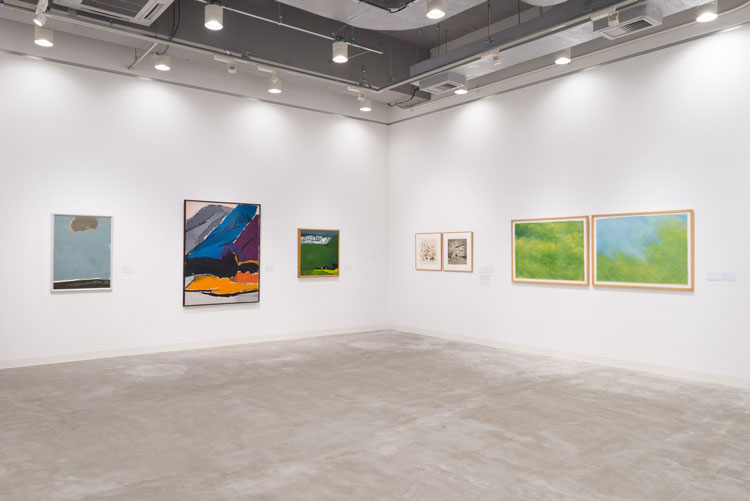 It houses approximately 1,300 pieces of artwork that had been collected through planned exhibits, international exchange exhibits, and solo exhibitions by artists related to Yokohama. 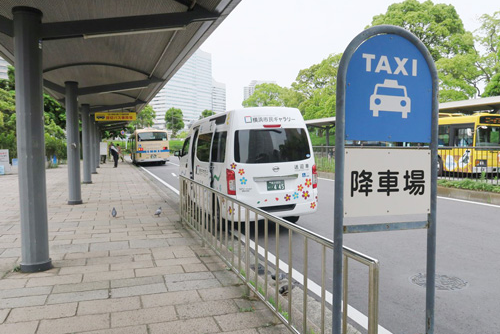 We have made arrangements for a courtesy car for free pick-up and drop-off at Sakuragicho station, for the physically challenged and the elderly visiting our exhibitions. This service however, may be used by any visitors to the exhibits. 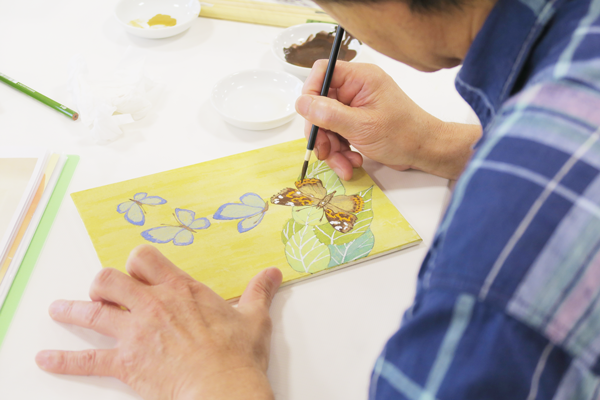 We host 3 planned exhibits every year, as well as atelier art courses for children and adults. – New ”Artists Today” Exhibition introduces the trend of contemporary art, inheriting the philosophy of ”Artists Today” Exhibition (names have changed several times over the years) which started back in 1964. 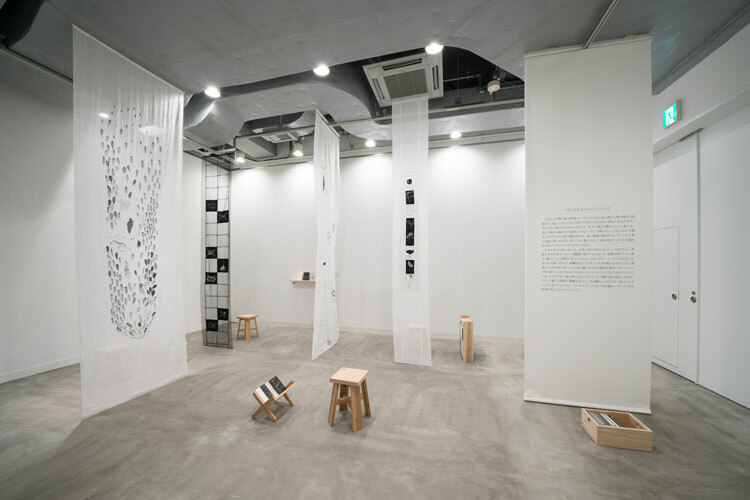 – Collection Exhibition introduces the selected works from the approximately 1,300 pieces that are archived by Yokohama city, based on certain themes. 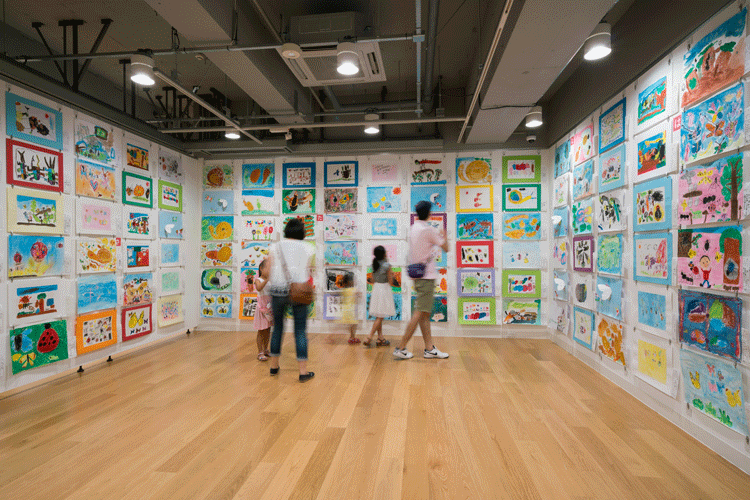 – Yokohama Children’s Art Exhibition displays all works submitted by infants to elementary school children who reside and/or go to schools in the city. We provide rental services for exhibition rooms and atelier, which more than 100 groups make use of every year. 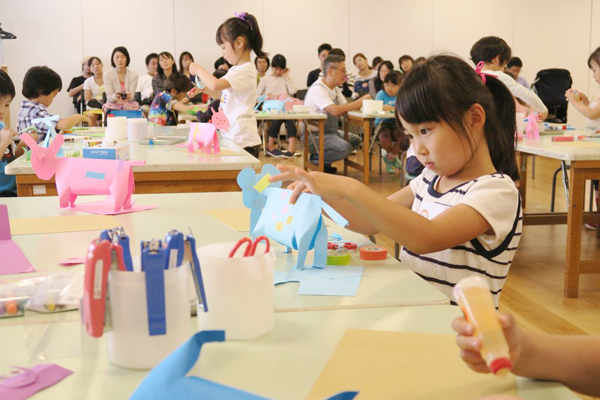 The service is available for residents outside Yokohama as well. Genres of exhibits allowed: 2-dimensional work such as paintings, prints, and photographs / 3-dimensional work such as sculptures / handicraft work such as woodworking and pottery / design work such as garments and fashion / creative work such as toys. Installation and video work are also allowed as long as they are within the usable range of the structure and function of the room. This space is available for art creation and courses. Opening hours: 10:00 – 18:00 * Exhibition hours vary. Closed: The third Monday of each month, Year–end and New Year holidays. * May also close for maintenance at other times. Access: 10-minute walk from South 1 Exit of Sakuragicho Station on the JR and Yokohama Municipal Subway Blue Line. Also 8-minute walk from Hinodecho Station on the Keihin Kyuko Line. Parking: 100 yen for every 30 minutes. Telephone reservations are required (call 045-315-4440). COPYRIGHT©Yokohama Civic Art Gallery. All rights reserved.